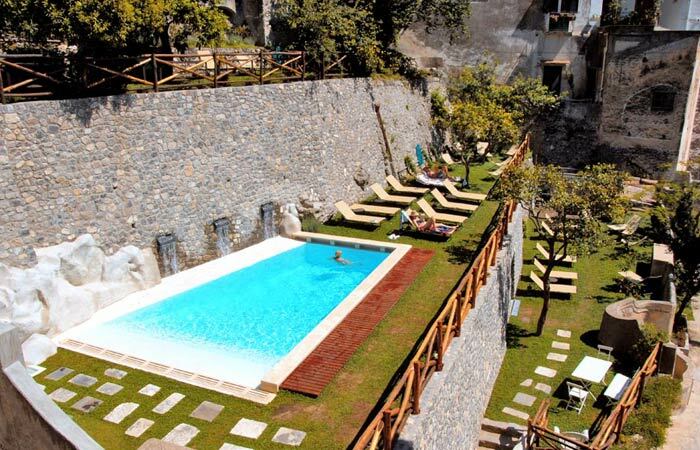 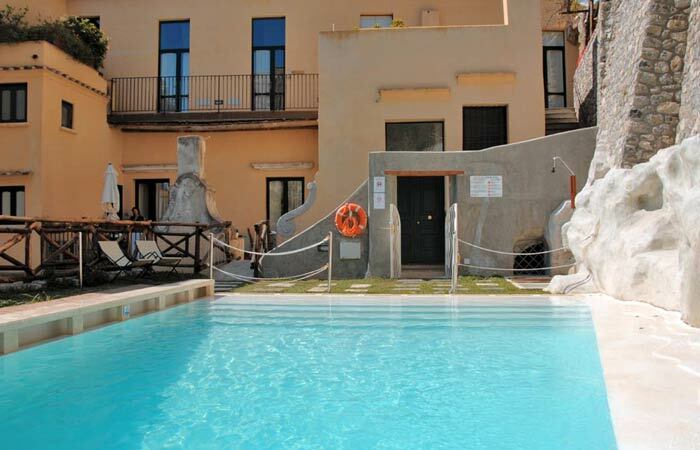 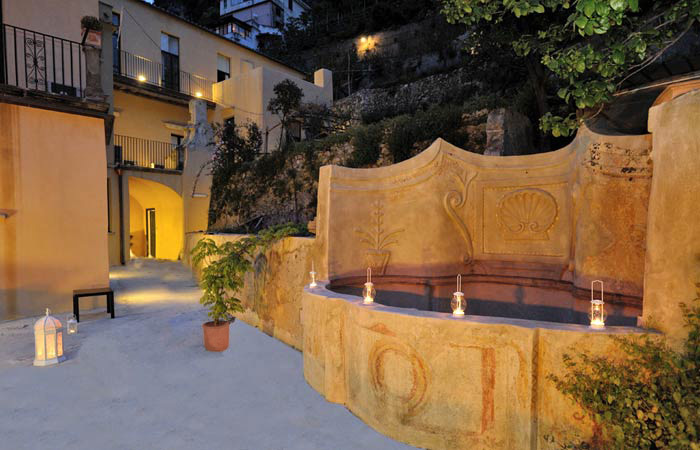 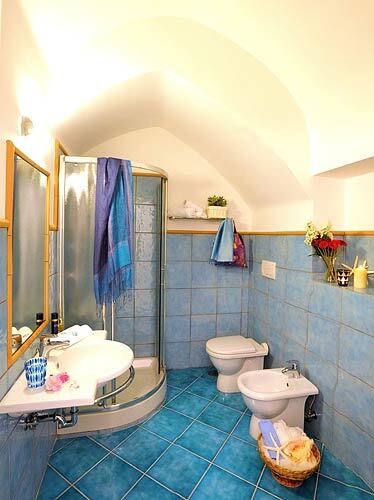 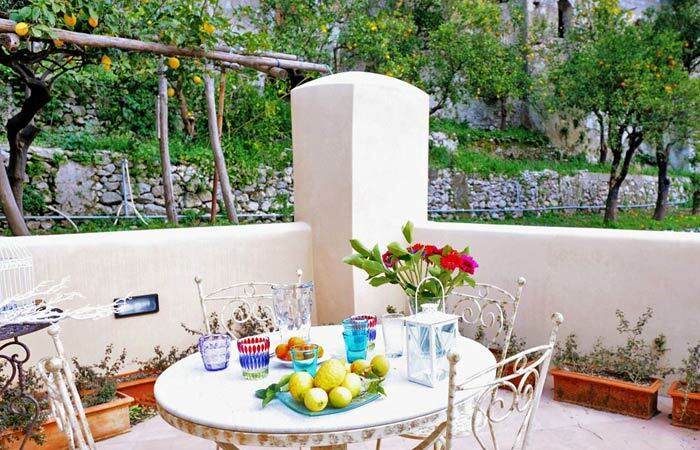 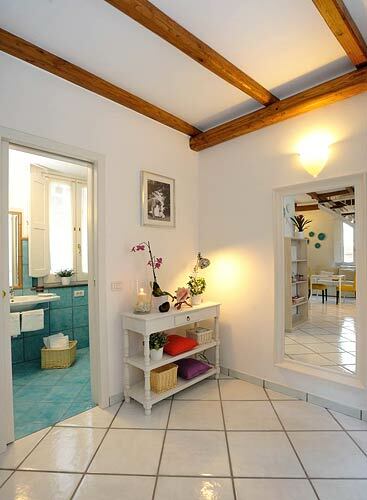 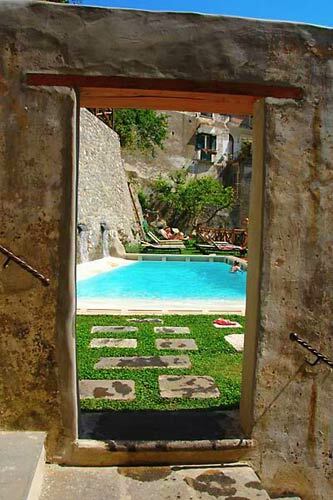 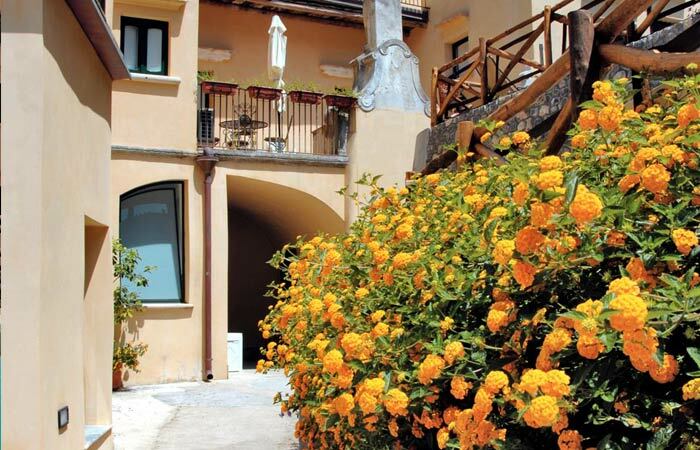 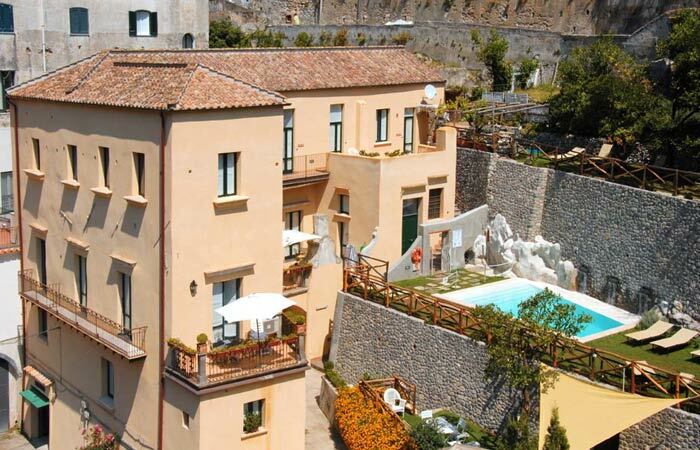 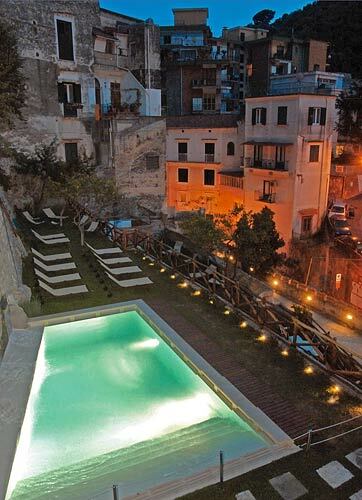 The only residence with a pool in the center of Amalfi! 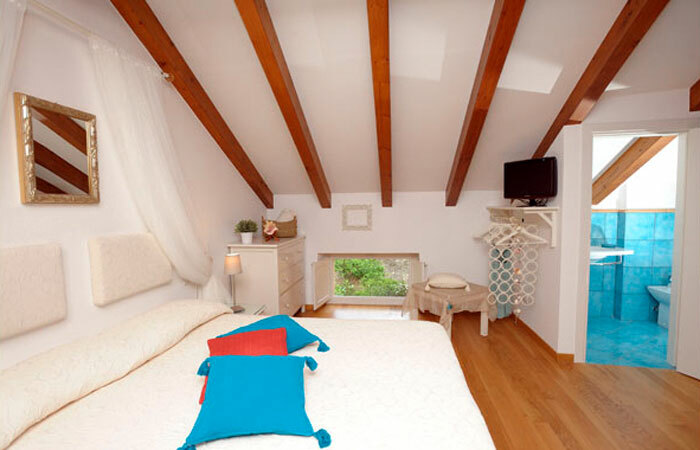 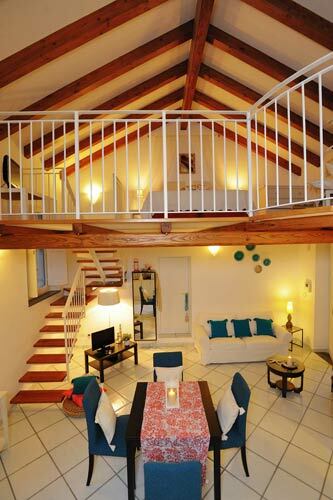 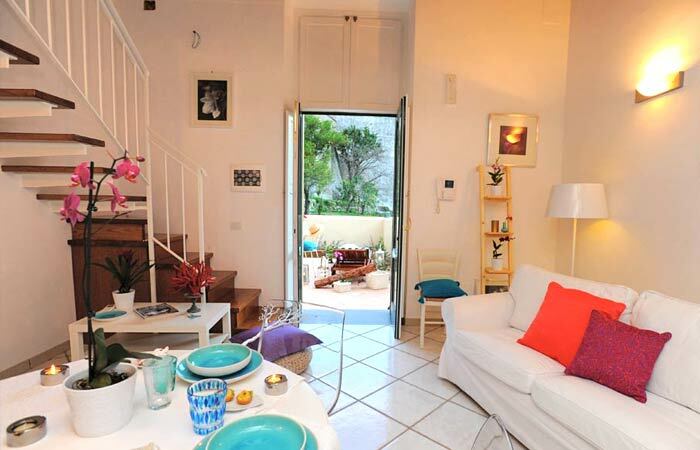 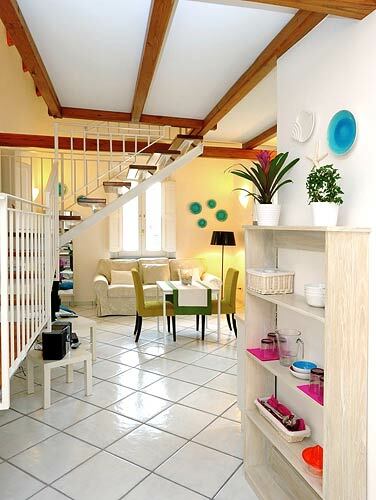 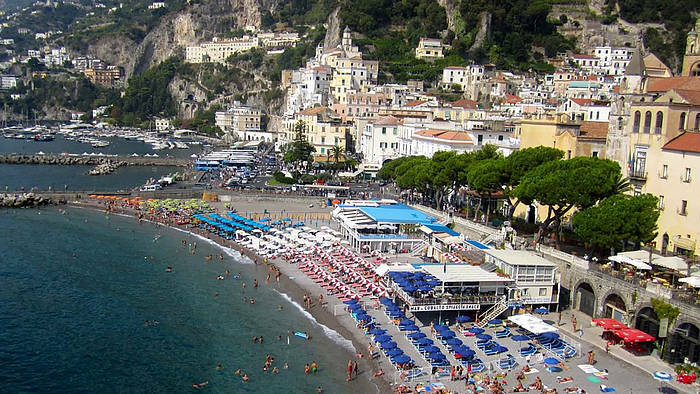 Our 5 Loft Apartments are situated in our new residence in the center of Amalfi town, only a 5 minute walk from the beach, bus stop, ferries and close to shops, restaurants, bars and everything the center of Amalfi has to offer. 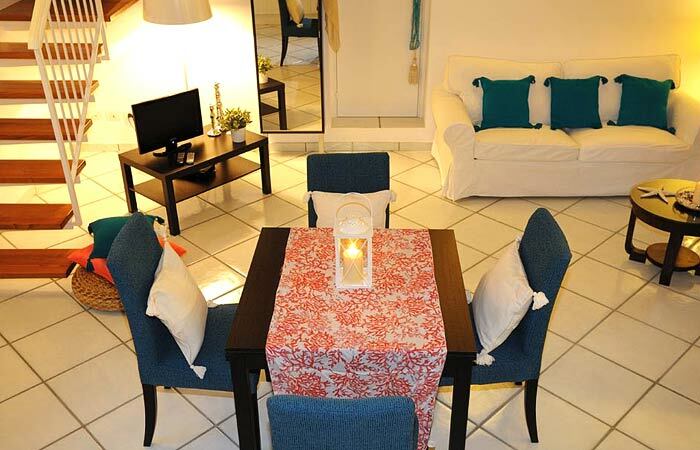 The apartments are excellently maintained, self-catering, and fully equipped with air conditioning, heating, high speed internet, dishwasher, washing machine, flat screen satellite television, and more. 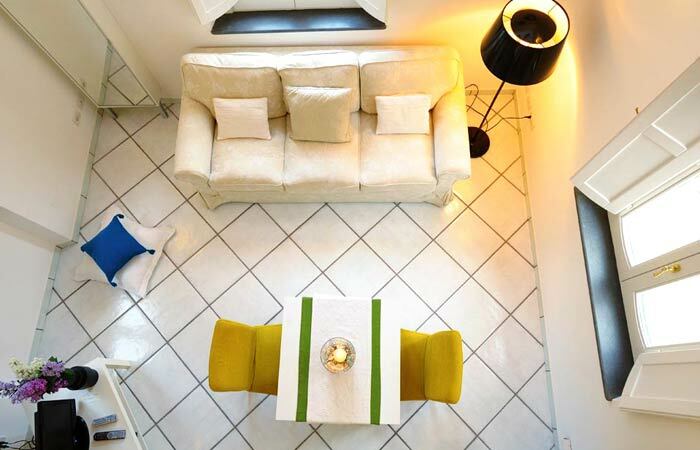 Each loft apartment is comprised of 1 double bedroom (queen size double bed or two separate twins, according to preference) , a living room with a double sofa bed, a dining area with kitchen corner, a master bathroom with shower, sink, bidet and toilet, and a smaller second bathroom with a sink, bidet, and toilet (no shower). 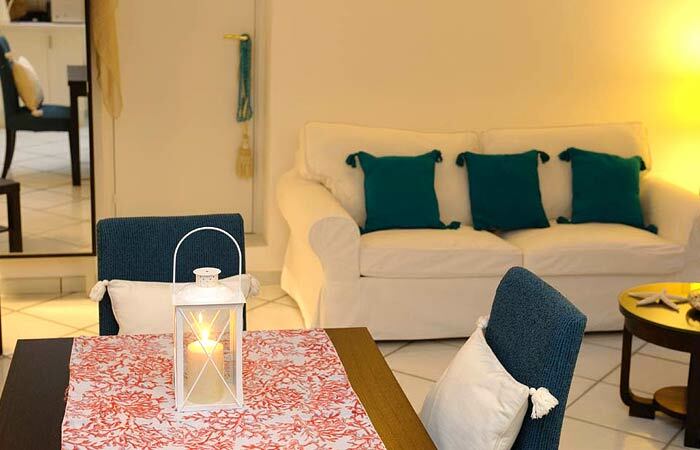 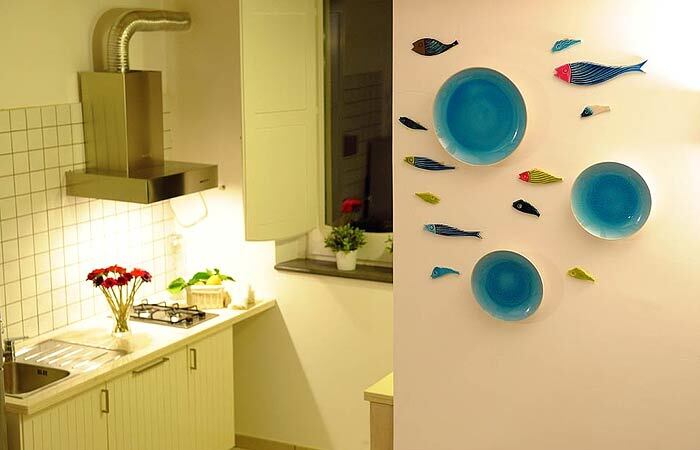 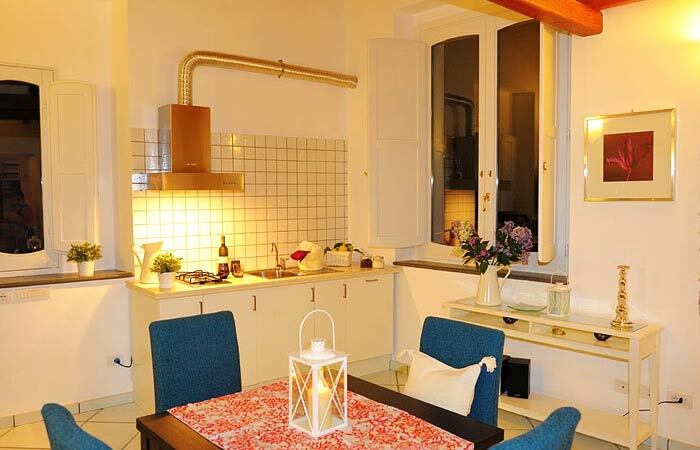 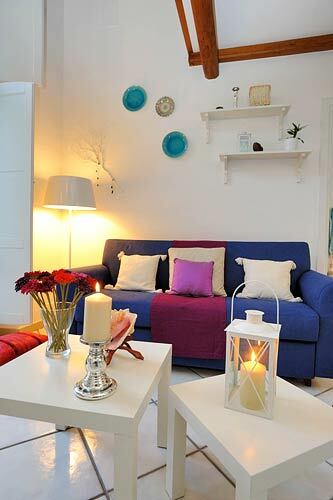 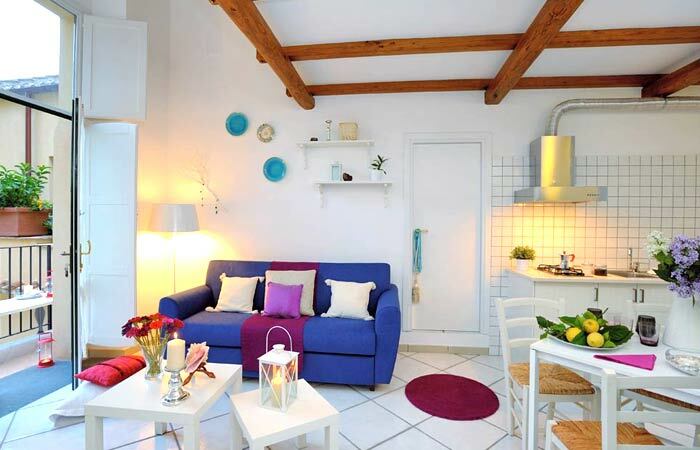 Perfect for couples, the apartments are also a great choice for families of up to four. 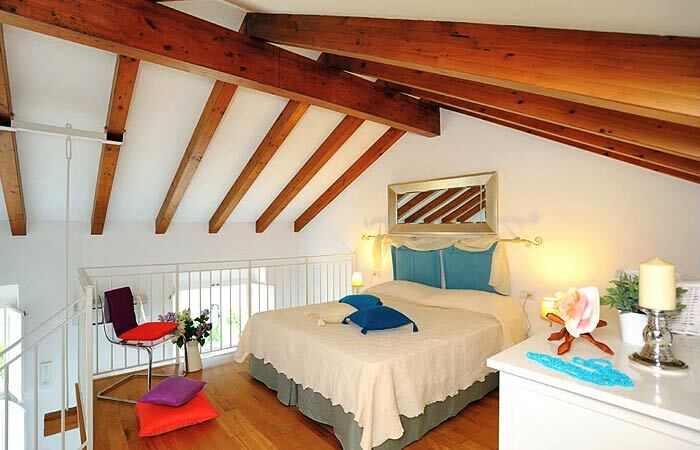 Our five loft apartments are located on the top floor (3rd floor, 55 comfortable steps) of the building. 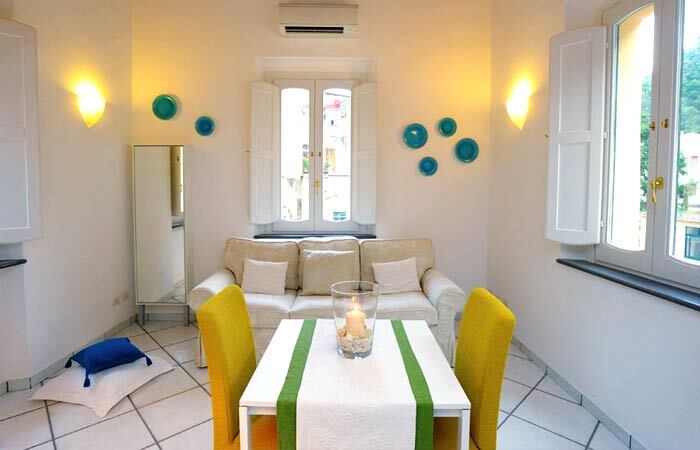 Larger groups might consider booking two (or more) Loft apartments, along with the Le Volte apartment (also part of the residence) and/or the Cartiera apartment (just across the road). 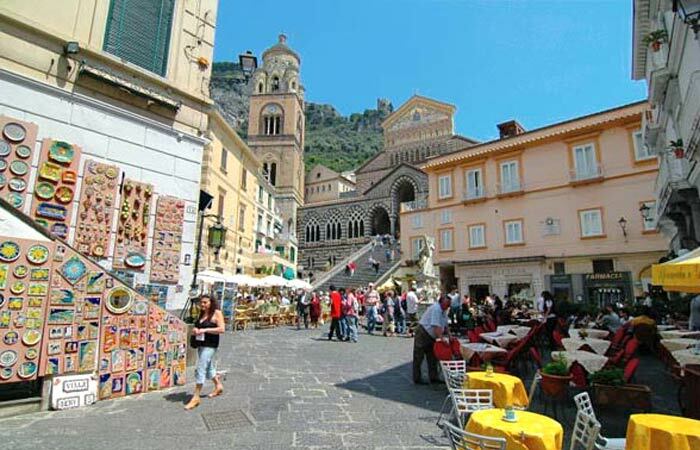 Parking space at the cost of Euro 20.00 per day per car. 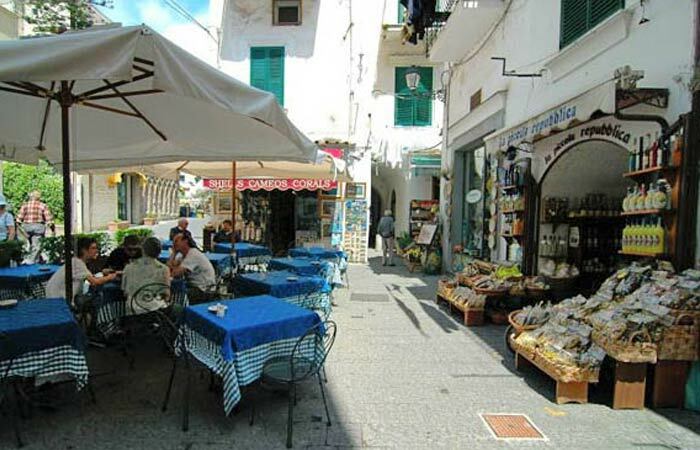 Parking space at the cost of Euro 25.00 per day per minivan. 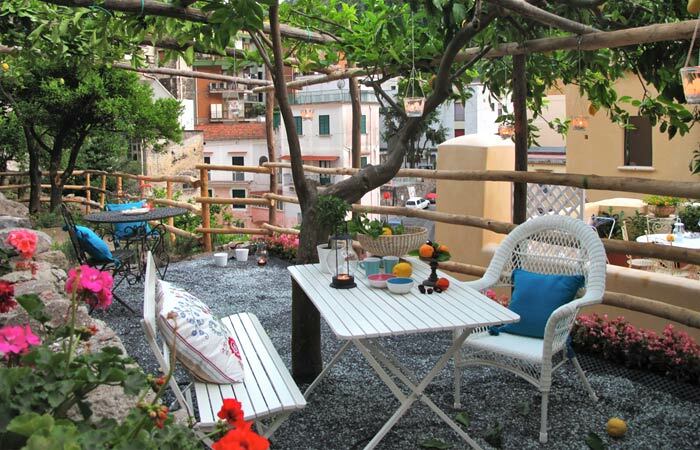 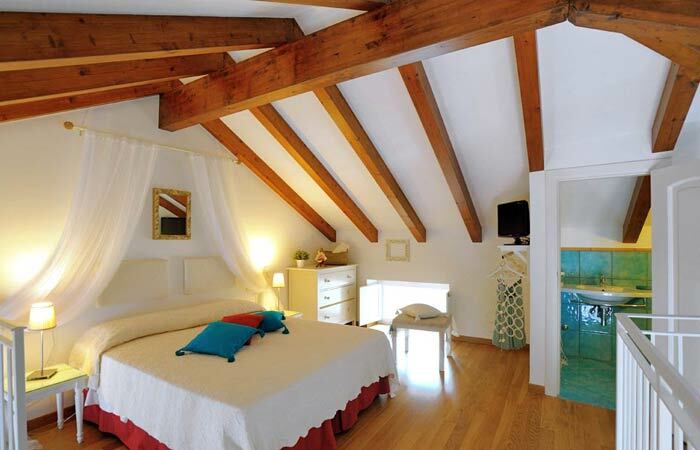 Our Loft Apartments are located in the heart of the historic center of Amalfi, at a 5 minute walk from the beaches, Piazza Duomo and the cathedral St. Andrea. 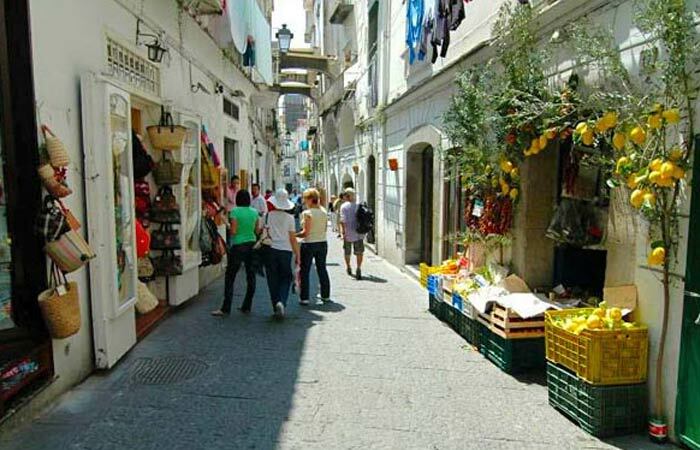 Restaurants, cafès and grocery stores are all at a walkable distance. 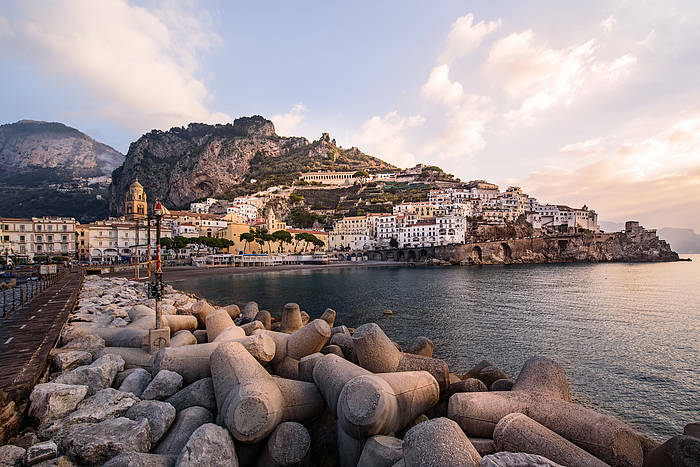 You will enjoy exploring the many lanes that are characteristic of Amalfi and discovering the wonderful little boutiques which are stocked with local products typical of this region, such as Amalfi's famous handmade paper, colourful ceramics, and the after-dinner liqueur, limoncello. 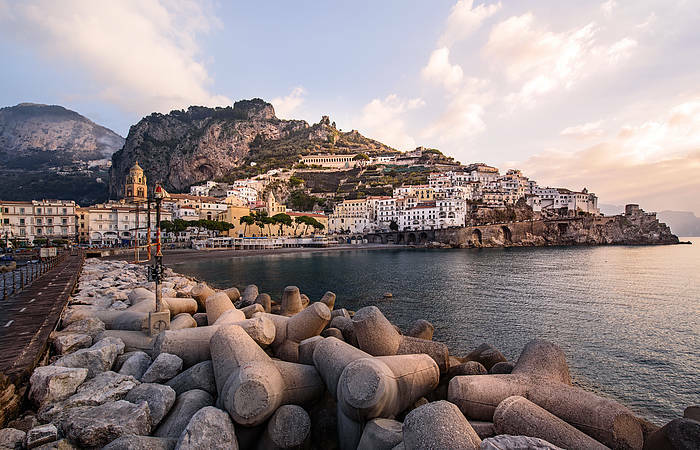 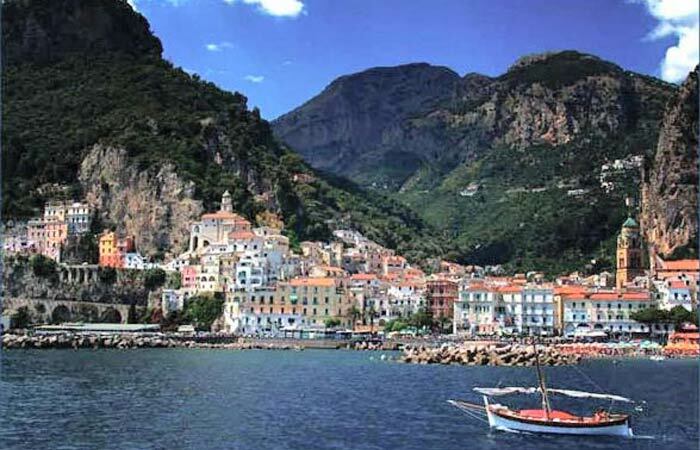 The public transport system (ferry/hydrofoil, bus, taxi) are all located in the main port area, just a few minutes walk from the residence, providing transport to the islands of Capri and Ischia, and to all the towns along the Amalfi Coast, Salerno, Pompeii, Paestum, Sorrento and Naples. 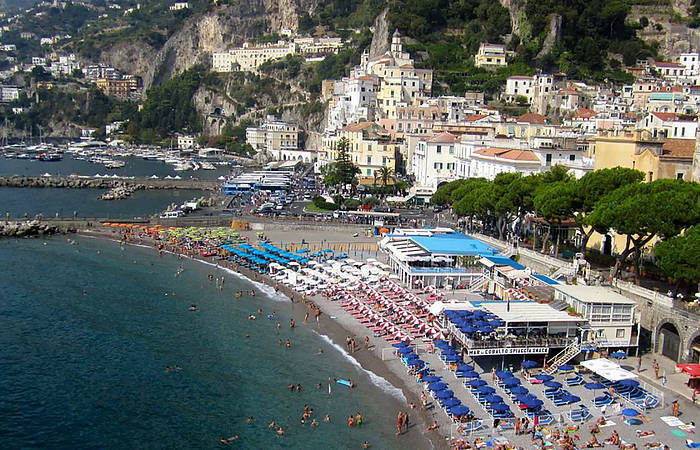 Closest airports: Naples (1 hour by car), Rome (3 hours and half).